WINE is a complex combination of acids, alcohols, sugars, polyphenols, and other biochemicals suspended in an aqueous solution. These biochemicals may be experienced as colour, aromas and flavours, structure or mouthfeel, and by their effects—either pleasant or unpleasant, depending upon the amount consumed—on mind and body. Parameters such as grape variety, soil, climate, wine- making, and ageing express themselves through the ever-changing makeup of the liquid in the glass, which can be analysed and interpreted by the experienced or attentive taster. Unfortunately, unconscious bias and suggestion are all too easily introduced into this process of identification and appreciation. Ideally, a wine ought to be evaluated objectively, with only an afterthought for such factors as price or prestige, the reputation of the region or producer, the shape of the bottle, the type of closure used, and the design on the label. Even our past experiences (‘I once had a lovely picnic in this vineyard’, ‘I hate Sauvignon Blanc’) and the context and conditions of the tasting (‘This room is cold’, ‘This Empire style Château is amazing’) can influence our appraisal of the wine. While all these factors can, and inevitably do, play a part in our personal enjoyment of a wine, they can lead us to prejudice one grape variety, region, producer, vintage, etc. over another, and, ultimately, one wine over another. By holding us back from tasting different wines and thinking about wine, they limit our understanding, and so our enjoyment, of those wines and wine in general. By far the best way to control for biases is to be blinded to everything but the liquid itself, which is served naked in a standard wine glass, preferably in a more or less neutral setting and without flourish or fanfare. The wine may be tasted either on its own or in a flight, in which case it may be usefully compared and contrasted with the other wines in the flight. The wines within a flight may or may not have certain things in common, for instance, grape variety, country or region of origin, and/or vintage. If these commonalities are revealed prior to tasting, the tasting is said to be ‘semi-blind’. The precise identity of a wine is only revealed once it has been thoroughly assessed and, for more advanced tasters, an attempt at identification has been made. Focusing on nothing else but the wines in our glasses. Testing, stretching, and developing our senses. Relying upon and recalling old memories. Comparing our analysis and interpretations with those of our peers. Getting it completely right, more or less right, or ‘wrong for the right reasons’. Discussing the wine and learning about it, and about wine in general. In refining their senses and aesthetic judgement, blind tasters become much more conscious of the richness not only of wine but also of other potentially complex beverages such as tea, coffee, and spirits, and, by extension, the aromas and flavours in food, the scents in the air, and the play of light in the world. For life is consciousness, and consciousness is life. In philosophy, phenomenology is the study of the structures of experience and consciousness. Wine blind tasting is the best phenomenology, phenomenology par excellence, returning us from our heads into the world, and, at the same time, teaching us the methods of the mind. 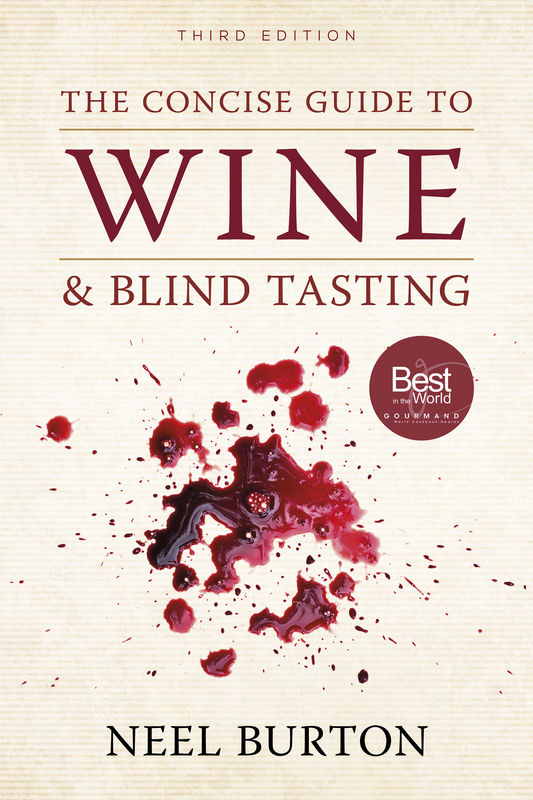 The more practically-minded among you may rest assured that blind tasting also has some more down-to-earth purposes: winemakers need to taste a wine as they are making it; wine buyers before adding it to their stocks; journalists, critics, and sommeliers before recommending it to their readers and patrons; and imbibers before sharing it with their friends. Especially as a student, you can enter into a growing number of local, national, and international blind tasting competitions. You can also pursue more formal qualifications and give yourself the option of entering into the wine trade, which is no doubt more life affirming than many other trades. Previous The Two Types of Psychopath Next Hide & Seek Out Today!